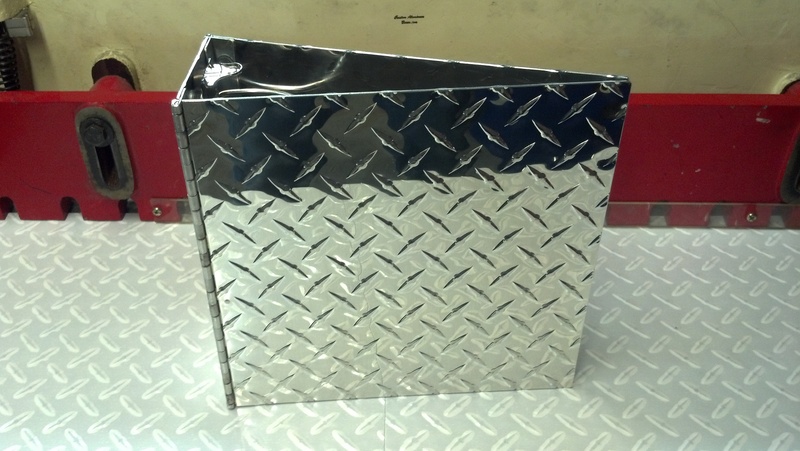 At Custom Aluminum Boxes our goal is to not only help you design and build your Aluminum Box but to make the process easy for you. 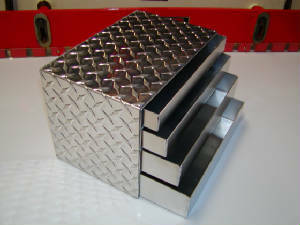 We can help you with all phases of your box design. Our excellent reputation and long list of satisfied clients attest to our superior craftsmanship, attention to detail, clear communication, honesty and integrity. Located in Elyria, Ohio. Default size is a 3" binder. Change size below. Select the Size Rings you want below before adding to cart. Click on pic to go to tool box page. 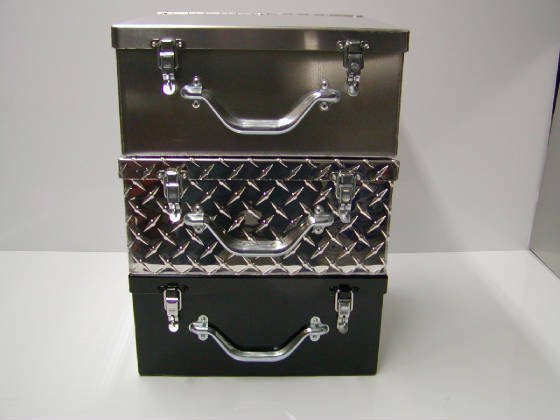 Transport Box for Tools, Ammo, Guns and Dogs. 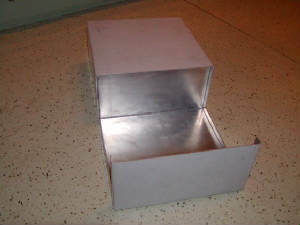 This box has two compartments for dogs with vents. 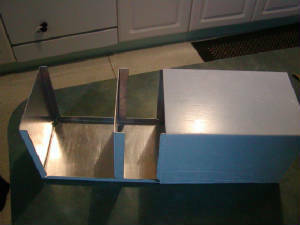 A removable divider to allow both dogs to be together. It has a cabinet built into the left side with 3 shelves and a lockable door. 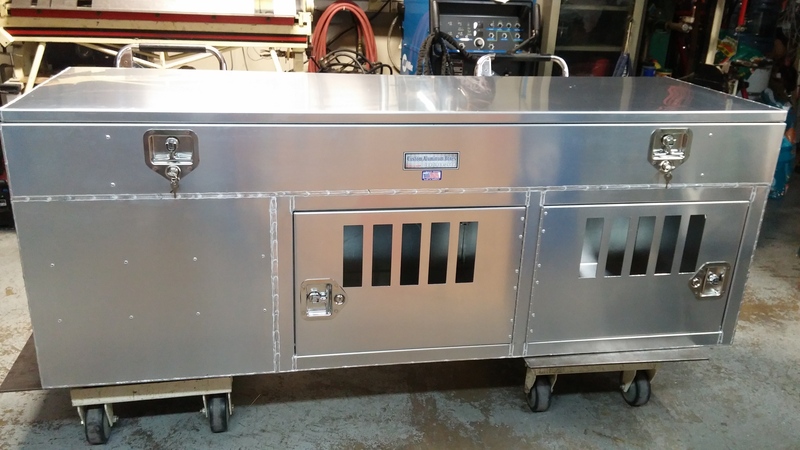 It has a 77" long top tool box for guns, tools, equipment and more. 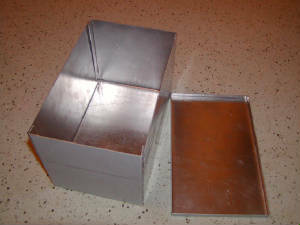 The box can also be made with the top box removable. 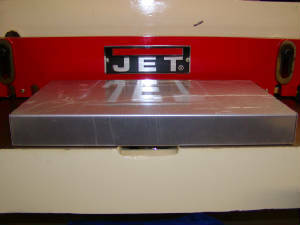 Has gas springs to hold open the lid. $1999.00 Plus shipping cost to your location. As our schedule fills we will stop taking orders to avoid long wait times. We do not display a phone number at this time as it takes away from our production time. If you email in with questions and or requests our phone number will be given out at that time. We can be emailed with questions about jobs at the email address below. All work is custom,our wait times have gone down and our customers are getting their products quicker than expected on most items. The Pages may load slow. I have left the pics in a big size so that you can see them clearly and large. Go Ahead and Email your drawing to us, we will take a look at it and give you a price. Please include your email address, phone number & zip code for a shipping cost. 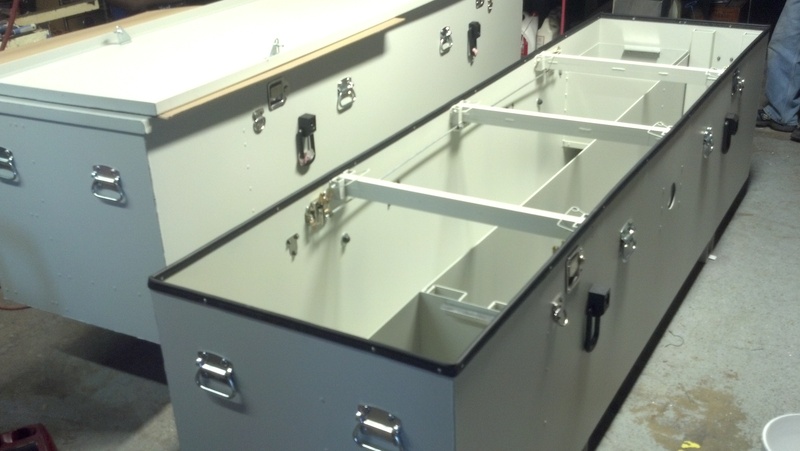 Crane hoistable / tow motor movable storage box. 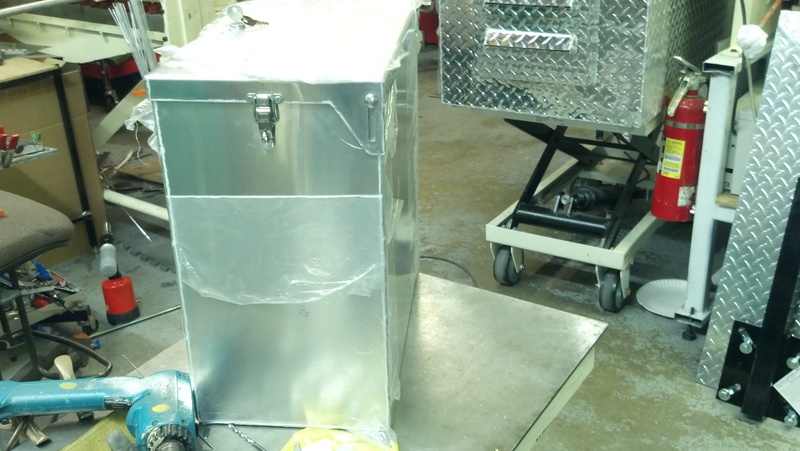 Powder Coated Aluminum box for the Coast Guard. 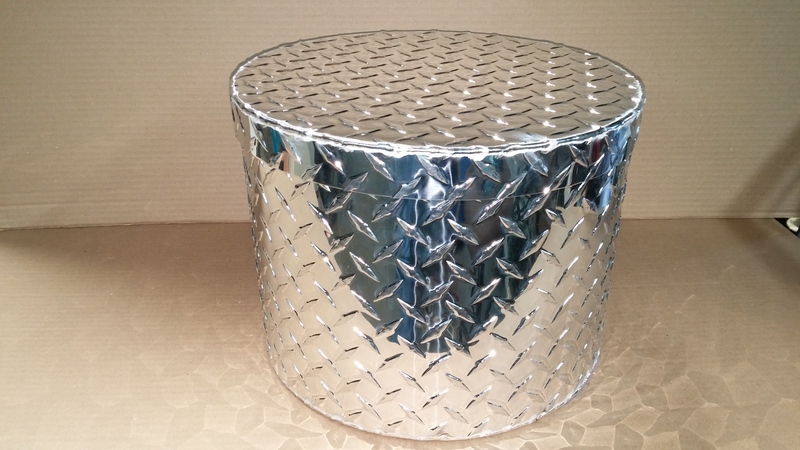 This can be used to store anything. 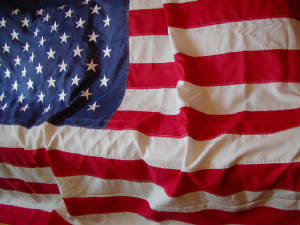 We thank our military and first responders for their heroic efforts. We have dedicated some space to allow for their stories. Please if you have a photo and a story about someone you know in the military, police, EMT, Fireman, etc. and would like to tell people about it, feel free to email me with it. I will post it with the pride and respect it deserves. Please include a photo and a small article about it. It will be posted for you. If you ever want it removed just email and let me know. Take this link to visit the Complete Picture Gallery. Have one made to your specs. 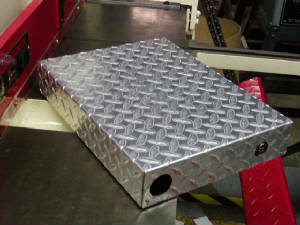 If you do not want to fill out the custom order form we will give you a quote by email. Just read some our testimonials. Hear are a few comments from some of our clients. 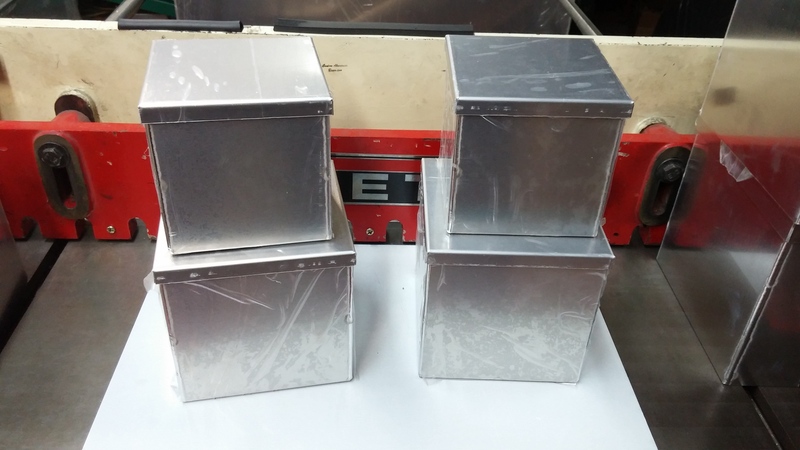 I received the custom aluminum box yesterday in excellent condition. The box looks great and fits my battery perfectly. Thanks for the rapid turnaround and careful shipping. Nice boxes, great service, thank you! Very good value and product. Hi Mark, It's beautiful...we feel like proud new parents! 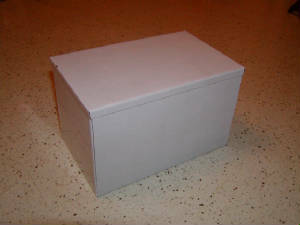 I just wanted to let you know I think you did a great job on the 4 inch square box! It's just what I needed. The box came in today! Very Nice job. You are a master! your talent shows in the craftsmanship. much appreciated. The box is perfect! Excellent workmanship. I will keep you in mind on future projects and tell others. As our feedback shows we take an enormous pride in creating your products, and hope that you'll find something that you like. 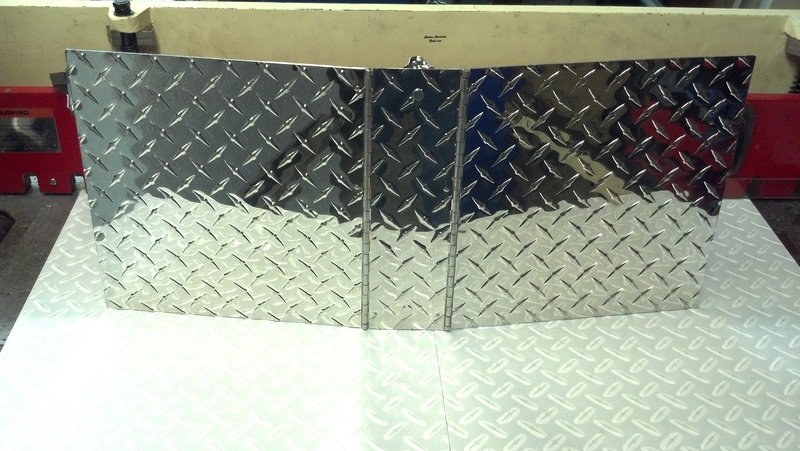 We create custom orders; call or email and let us know what you want. This is a Tray with a Lid on it. 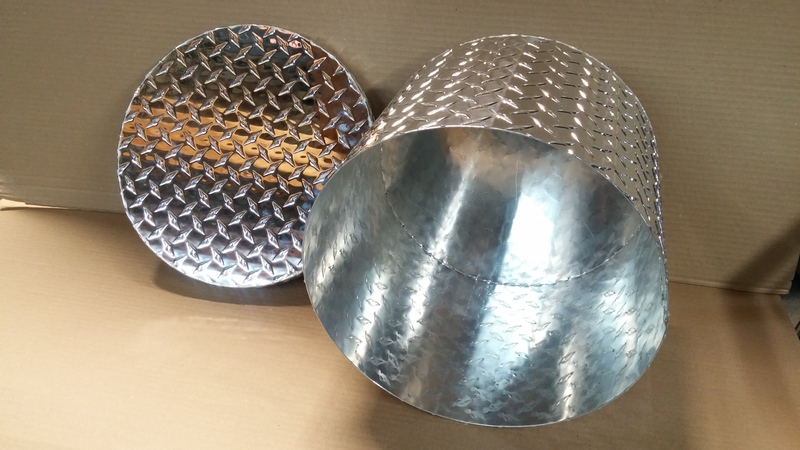 This can be used for a tray or as a shelf on a cart e.t.c. 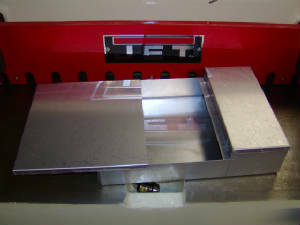 This is another view of the Tray. 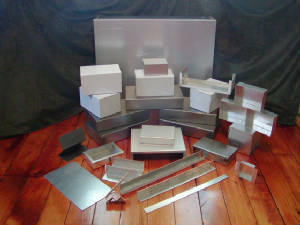 Picture 13 Rectangular 2 pc box. 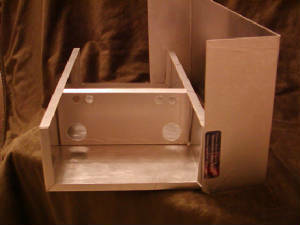 Picture 15 Enclosure / with Divider. This can be used with anything. 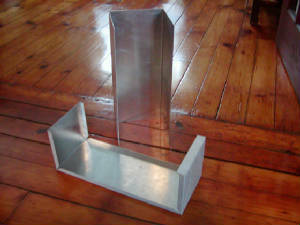 Has a divider with vent holes and path for wire. 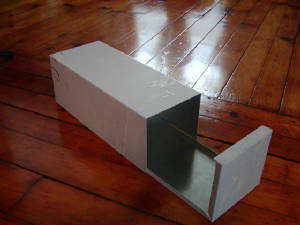 This Box has a Divider which can be located anywhere you want it within the Box. This image shows some of the diferent styles I can make. 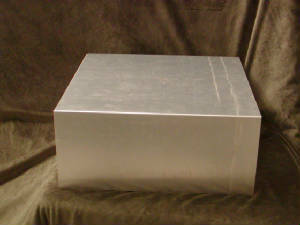 This is a two piece box with a low profile. 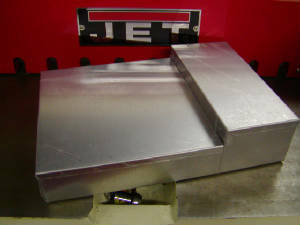 This box is for Amplifiers and anything else that will fit inside.